From the Archive: The traditional Patriots Day falls on April 19, honoring the Minutemen who battled British troops attacking Lexington and Concord in 1775. The British were thwarted, in part, by a little-remembered patriot, as Robert Parry recalled in 2011. 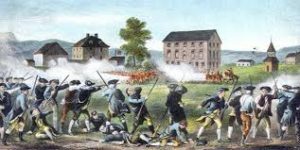 Those opening clashes of the revolution revolved around a spy-v.-spy game – when and how were the British going to surprise rebel leaders in Lexington and then destroy the stores of munitions at Concord. And, after the day of fighting was over, there was a second “intelligence” competition over spreading news of the events, what today we might call “information warfare.” The Americans won that contest, too. A depiction of the Battle of Lexington on April 19, 1775. Yet, 241 years later, these intelligence coups are little remembered. Casual historians may recall “The Midnight Ride of Paul Revere” which indeed was a dramatic part of thwarting the British surprise but few recall the exploits of Dr. Joseph Warren, arguably America’s first spymaster. In the turbulent years leading up to hostilities, Warren collaborated with fellow patriot Paul Revere in constructing a remarkable intelligence network for its time, a loosely knit collection of sympathetic citizens who uncovered information about the British garrisoned in Boston. The network also included riders who could spread alarms quickly through the Massachusetts countryside. Warren and Revere oversaw an effective system of propaganda, too, highlighting excesses committed by the British and pioneering the use of fast sailing ships to distribute their side of the story across the Atlantic, where there was a battle for the sympathies of British citizens and politicians. This intelligence network was tested in spring 1775 as the British prepared for what King George III hoped would be a decisive strike against the rebellious New Englanders, including the arrest of top leaders, John Hancock and Samuel Adams, hiding out in Lexington. Their whereabouts had been detected by British General Thomas Gage’s own spies. The patriot leaders had riders carry news of the battle down the American coast, but equally important, a fast American schooner took the news to England, where the documents were slipped to the mayor of London, who was considered sympathetic to the American cause. It was a masterstroke of Eighteenth Century propaganda as the Americans got their depositions and their side of the battles of Lexington and Concord into the British press some two weeks before Gage’s reports arrived by sea. 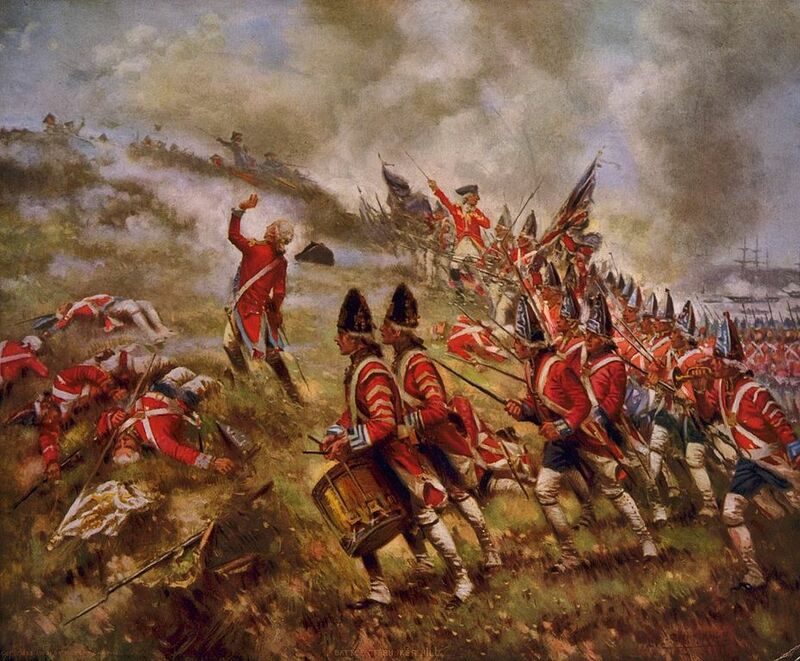 A depiction of the Battle of Bunker Hill by E. Percy Moran. 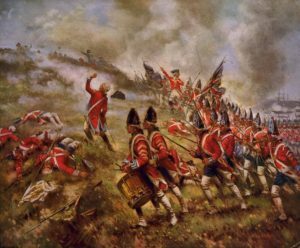 The American Revolution was as much a civil war among colonial rivals as a challenge to British authority. On the eve of independence the American colonies were, ethnically and ethically, four separate nations, as diverse as any in the Old World. The ideals of Puritan New England could not have contrasted more vividly with those cherished by Virginia’s planters (their ancestors had fought one another in the English Civil War over these differences; their descendants would restage the conflict one final time in 1861), while Pennsylvania Quakers and Scots-Irish immigrant communities held strikingly antagonistic viewpoints of what defined freedom and virtue in the New World. 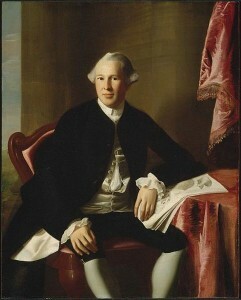 Unlike their counterparts in England, the American ruling elite had earned its wealth – largely through slavery and land speculation, by the way, not by actual labor – and were thus ineligible for membership in the traditional aristocracy of their mother country, which was based on a rigid, hereditary hierarchy. It was this jealously and resentment of their inferior social status that created the agitation for a final break with England. The subsequent elevation of a new ruling aristocratic class and a Constitution permanently enshrining its power and privilege was the purpose of the Revolution, not an unintended consequence of it. Ordinary Americans – the ones the Federalists would later disenfranchise and dismiss as mere “rabble,” having used them as fighters for independence – suffered little inconvenience under English rule. The misfortunes so loudly decried in the Declaration were largely measured British responses to the repeated refusals of the American ruling elite to obey the laws that bound other Britons. Americans were handled with kid gloves by the British, whose blood kinsmen they were. Look at Ireland and the Scottish Highlands if you want to see genuine British tyranny against white people in the 18th century. For those who still take the exaggerations of rebel propagandists as the truth of conditions in colonial America, Smithsonian historian Barbara Clark’s book “The Freedoms We Lost: Consent and Resistance in Revolutionary America” is an eye-opening introduction to reality. She thoroughly contrasts and compares the rights the average American enjoyed under British rule to what they were subjected to under the Federalist regimes that followed. Another American hero,who died for America. And what do we got? ;Traitors everywhere. Very interesting. I was not aware of Dr. Warner’ s part in the Revolution before..thanks for the story . This was a great read. Thanks for writing and reposting it. Margaret issue, and since there’s no source data on the issue, they look at the evidence. Margaret, returned to England, had another child, and General Gage left her his money and land after his death.